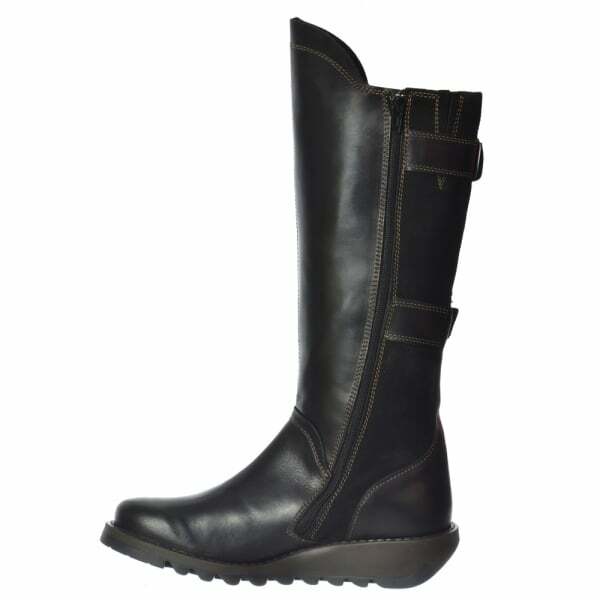 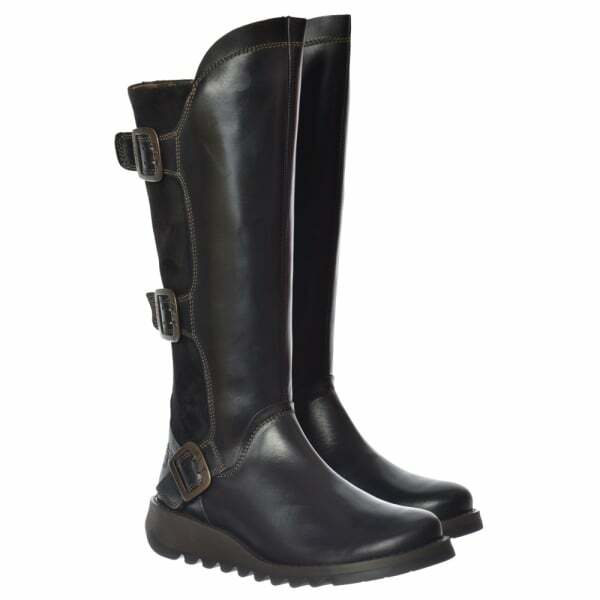 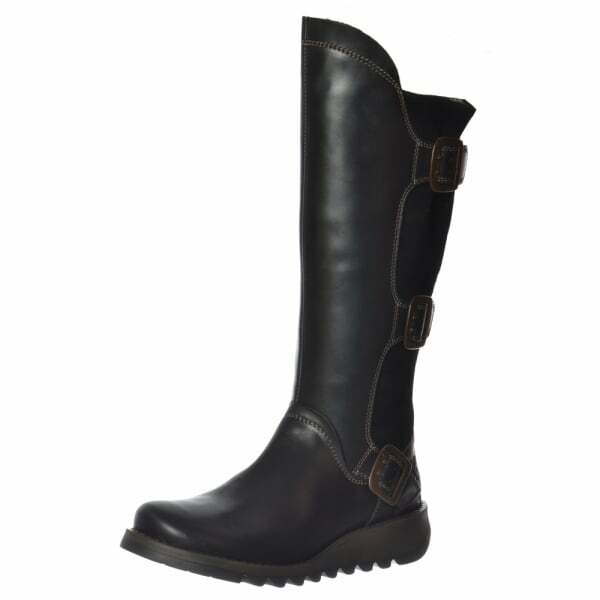 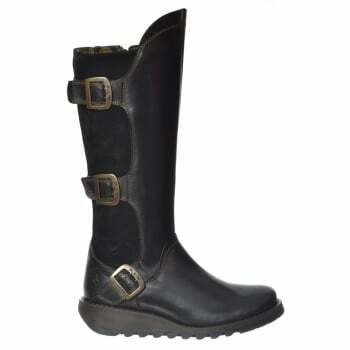 Fly London Synd is This Seasons Must Have Winter Boot! 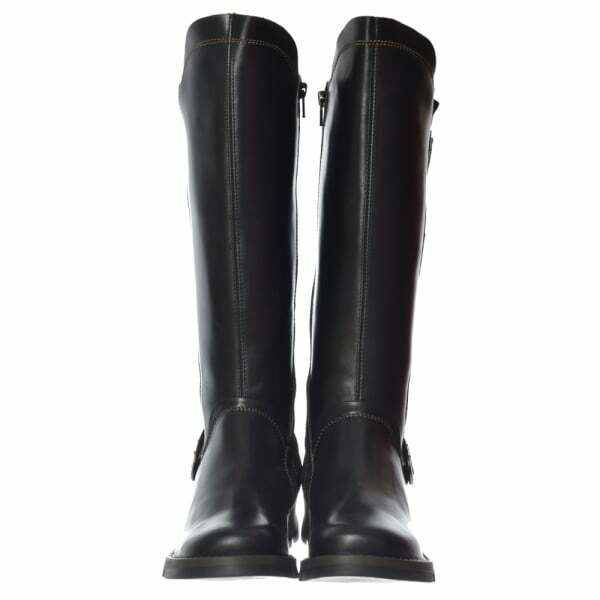 Knee High and Featuring Full Leather With Stitched Detail to The Front Whilst Complimented By Oil Suede Leather To The Rear This Truly is One of Our Favourites! 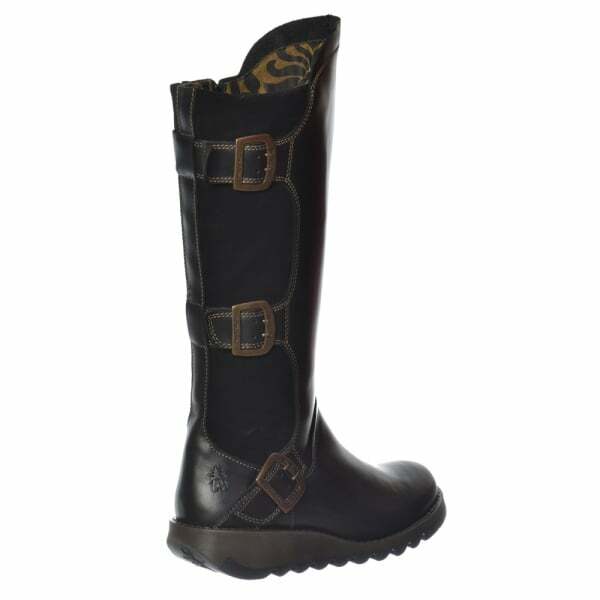 Three Chunky Statement Buckles With Fly Embossed Logo To Each Complete The Look.